It is that time of year again! 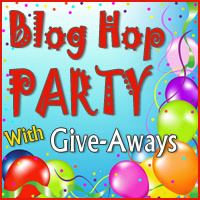 Time for another fun Blog Hop Party hosted by Quilting Gallery. This party is all about sharing the quilty love and finding lots of new-to-you blogs to follow. If you are a regular reader, terrific and I'm glad that you're visiting again. I love sharing my quilty projects here on my blog and I also love hosting great fun events. To date I've hosted quite a few including the Modern Mini Mystery Round Robin in 2012 and 2013, The Halloween See Saw Swap, The Quilt U Be Mine Mini Round Robin and the It's A Sister Thing Swap. I also post a regular series Stunning Stitchin Sunday where I showcase great quilting, done either by hand or machine (domestic or longarm) and other terrific stitchery such as embroidery, cross stitch or even knitting or crocheting that I come across in quilt blog land. From the responses I've received in the past 4 months since I started this series, I know that it is becoming very popular, my readers look forward to seeing the spectacular work and gain inspiration for their own quilting project. 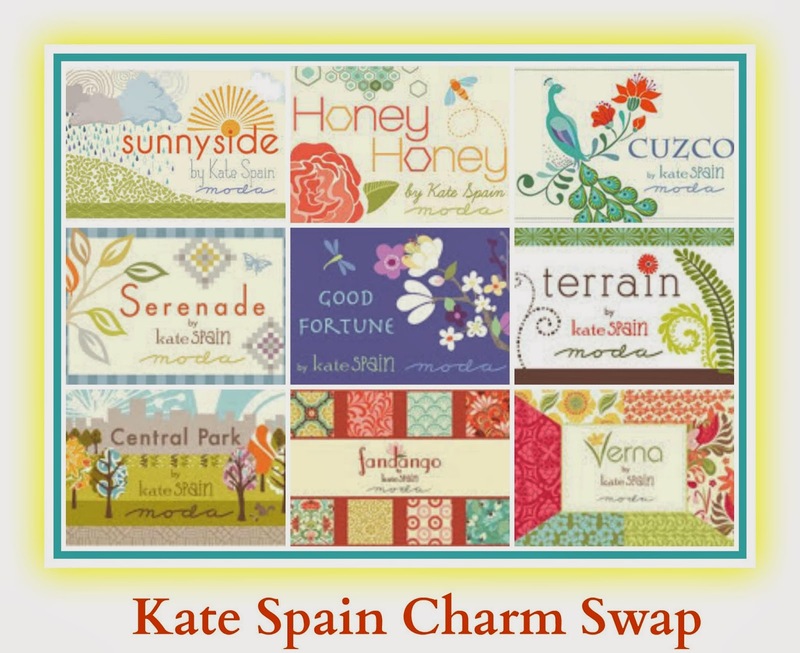 The current swap just now finishing up is the Kate Spain charm Swap. All the charms are sorted and I'm working on getting them packaged and out in the mail to their new owners. Let me tell you, the participants will be receiving back one gorgeous stack of charms. I can't wait to see what everyone makes with them and I can't wait to start sewing with mine. Plans are already in the works for Round 2 after Kate's newest line Daydreams comes out sometime in February. My newest hosting gig just getting under way is The Primary Bee. This is a quilting bee for the elementary school set, boys and girl, to teach them the foundations of simple and basic quilt block and quilt making and hopefully have them make a few quilty kidlet friends along the way. This week is the Last Call for the sign ups so if you have a child or grandchild that you think would love to join in, head over to the intro post to read all the details and then email me all the needed info before the end of this coming weekend. So not quite 2 weeks ago, my blog Uncelebrated it's 2 Year Anniversary (uncelebrated because I didn't actually celebrate it with all of you). Since I had hosted a bunch of giveaways recently and also knowing that this Blog Hop Party was coming up, I decided to wait and have a belated celebration instead in the form of a really awesome giveaway opportunity for you. To one lucky winner I will be send this copy of material obsession two by Kathy Doughty and Sarah Fielke. It contains the authors' interpretations of a ton of great traditional blocks in modern settings. Here are just a couple of examples of what is contained within the cover. Each person can have up to 2 chances to win. 1) Leave me a comment and tell me which genre of fabric is your favorite - Civil War, 1930's, Solids, Calico's, Primitive, Bold and Modern, Floral, Asian, Christmas, Halloween, Novelty...whichever floats your boat the most. 2) My readers have a 2nd chance to win, just tell me which way you follow. And Yes I do check. Entries will close at Midnight, Tuesday November 26th. As usual, if you are a No Reply Blogger include your email address in your comment or it will be removed from consideration. Better yet, solve the problem once and for all (I know you Wordpress folks aren't able to). Info on how to do that can be found here. It's easy peasy and you'll be glad that you did. I hope you enjoy hopping around to everyone that is participating in the Blog Hop Party and a huge thank you so much goes to Michele for hosting such a great event again this year. Good luck to all! I hope to be lucky and win a couple of giveaways myself. I do love to read all of your comments and I'll attempt to respond to as many as I can but knowing the volume of comments that result from this Blog Hop Party it isn't likely that I'll be able to reply to them all. I do appreciate each one though and look forward to reading them. I love, love, love 1930s and Christmas fabrics!! Modern fabrics are the ones I really love lately. But I try to buy plenty of blenders because they go with so many things. Hi Michele! What a great giveaway. 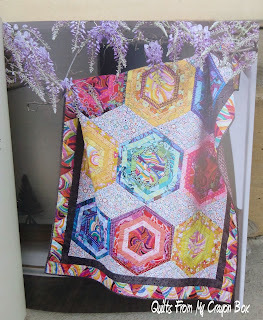 I love florals, Kaffe Fassett florals are my all-time favourites. I follow you on GFC and BlogLovin'. Thank you for the chance to win, I love modern prints and text prints. I can't pick fabric fabric....I LOVE THEM ALL!!!!! I love novelty fabrics, especially text fabrics. Thanks so much for the great giveaway! I'm a follower through Bloglovin and Google Friends. Thanks again! Hands down, 1930's are my favorite! Ghastlies Halloween is an obsession, love modern fabrics as well! I love Civil War fabrics but lately I'm also leaning toward 1930s fabrics. Thanks for the opportunity to win your giveaway. I follow you on Blogger. thanks for the opportunity to win your giveaway. I follow via Feedly :) and probably still GFC, but I actually check Feedly every day. I mostly have/use modern fabrics, but I love 30s reprints and civil war fabrics, too. I really love Modern fabrics...bright colors...rainbow colors. Thank you. I love batiks and hand dyes! I am a follower on blogger. Thanks for the chance at this lovely book! I tend to be a bold and modern kind of girl (and really like things like polka dots and stripes too!). I follow on GFC (and feedly). my goodness Michele! What a generous giveaway :) .... I'm really going to have to up the ante when I finally figure out what to do to celebrate my milestones!! I do follow you any which way I can ... normally I click your link from my blog to yours, but I do follow you through Bloglovin' also ... :) :) Thank you! Oh yes, I also adore Batiks ... not that I get to work with them too often, but my stash pile of batiks is huge!! can't pass up too many that catch my eye!! Bless you and I wish you a wonderful, wonderful!! I love modern and Civil War. I am a follower and I also follow you by email. I guess I would have to say that I like the Civil War genre. But have been branching out and trying new things. I follow your blog via email. Thanks for the chance to win this great give-away. Currently I'm loving the 1930s prints--I've been in the nostalgic mood lately--wanting to recreate things that would have been done when my grand-parents and great grandparents were young. I'm also going to talk to my kids tonight and see if they want to do your primary bee. I think that would be so fun! I love novelty and Asian prints the best. I keep trying to branch out, but always come back to those two. I really enjoy working with Kona solids. The last two quilts I made were made up of solids only and they look so great! I do however enjoy with with print fabric but I don't like my fabric to busy or bright! Congratulations on your (slightly belated) 2 year blog-o-versary! I'm a Bold-and-Modern fabric kind of gal. Saturated colors is what it's all about, as far as I'm concerned! I'm your most recent member/follower! I'm also signed up for the Primary Bee. So excited, I can hardly wait!! Congrats again! Here's to many more years of blogging fun! Your stunning stitching series is such a good idea! Lovely examples you find. My favorite fabrics right now are solids. Oh you - making me pick a favorite - how? I am a scrap quilter and play with it all! OK, I'll follow the rules and chose 30's as they remind me of my great gran. Waving - follow with Google Friend. Bold and modern. Thanks for the giveaway. My favourite would be modern, florals and solids. I also like batiks. Thank you, Michele, for a great giveaway. My favorite would have to be 1930's. I am a follower through GFC/Bloglovin. My favorite fabric type are floral and pastel color fabrics and batiks. I just began following you through my email......it's much easier for me!! Right now I'm into collecting funky finds that are rich in color...usually jewel toned. Pat Bravo has become a fast favorite along with Anna Maria Horner. I totally love Kona solids - I love sold quilts and am in a solids bee so will one day have a solid quilt! I also love falnnel at the moment fr wintery clothing!! I follow on FB and I love Civil War prints and Bold Modern..thanks for giveaway.. I'd have to say I like bold and modern fabric best! And of course I follow you - by email and I think you're on my blog roll too! I agree with Sarah. The bold and modern get my vote! I Love batiks! Thanks for the fun! I'm following you on Bloglovin. Thanks again! 1930s for sure. Thanks for the giveaway. I've added it to my weekly link up. Oh Bold & Modern all the way! I like batiks and text prints. I love modern prints! Thanks for the chance! Oh I haven't seen that book before! I love bright/modern stuff, but I do have a soft spot for novelty of anime and pandas and whatnot! I like them all but I tend to gravitate towards modern and floral. I would say I am fairly modern. I am so excited to discover your blog. I am a new follower on GFC. I love the bright modern fabrics but also love repros but pre Civil war. I love bold and modern fabric, they really make a quilt that stands out. I probably fit into the bold and modern, solids categories, with novelty, and theme prints and a splash of everything else in there. 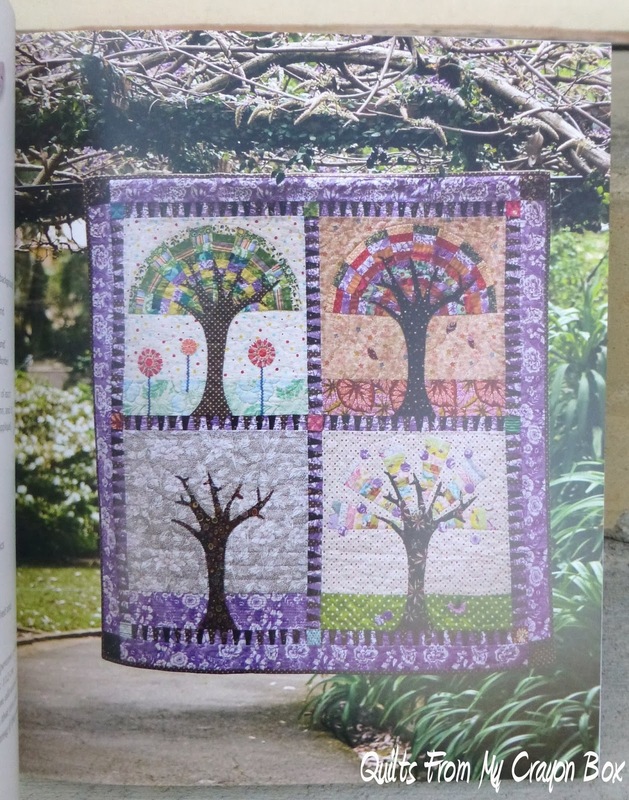 Looks like a great book, I love stash quilts. Thanks. I love batiks, and whimsical prints both. Almost all fabric!! I like moderns and solids! Thank you for a great give away! I like moderns and novelties and of course solids, too! I love batiks, but all the others on your list are in my fabric stash too. Thanks for the chance to win. Your blog is new to me. I am now following via GFC and Bloglovin. Thank you for the chance to enter. To choose one favorite type of fabric is hard. I love holiday fabrics. I also love solids and as of lately I have been loving the new vintagey looking aqua & reds that seem to be very popular. What a lovely book to giveaway. Thank you for the chance to enter. I love modern fabrics, especially colorful stash builders! I am a huge fan of modern fabrics, with some cute novelty fabric thrown in here and there. I like modern stash builders, low volume and a little bit of novelty, thanks! I like modern brights, some fun novelties and Halloween fabrics. And my favorite fabric is anything except solids :) thanks again for the giveaway! I love civil war fabrics . Thanks for the chance. I follow by GFC .. I love vintage fabric, but I'm always afraid to cut into it. I like florals. Thank you for sharing such a generous giveaway. I love batiks. Great give away. I love modern fabrics. Thanks for the giveaway! I am really into reproduction fabrics - Civil War is my favorite! And I love Halloween fabrics too - what a combo! lol Thank you for the giveaway! I am a new follower - Bloglovn'!! thanks again! I love all sorts of fabrics but at the moment, Bonnie and Camille's are my favourites! Thanks for the lovely giveaway. I love Christmas material and buy it year one. I love bright colored fabric. I just love Halloween fabrics! Thanks for this great giveaway! I'm definitely a bold and modern type of fabric person! And I follow via email! What I need most in my stash is solids. I like all fabrics. I am follow with GFC. I am follow via GFC.Thanks for the chance! I find myself more drawn to modern fabrics these days. Modern! 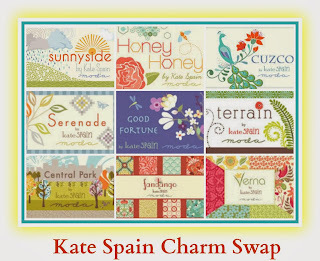 Follow via Bloglovin, excited to receive my Kate Spain charms!!! Thank you so much for hostessing. My favorite fabrics are Kaffe Fassett large scale prints and modern blenders. Started following via Bloglovin I'll be interested in future swaps you might host. I love all sorts of fabrics... there is nothing specific that catches my fancy! I follow you via Bloglovin' - thanks! I really enjoy working with seasonal and novelties. I love solids or near solids, either on their own or in combination with modern prints. They're just so versatile. Thanks for the chance to win such a great giveaway, and congrats on your 2-year blogoversary. I usually enjoy novelty fabrics, because I can make the quilt about the person I am making it for. My favorite genre of fabric is brights, whether they be batiks or geometrics or solids. I follow you with blog lovin and feedly! My favourite fabric range is The Ghastlies but I love Bright and Bold colours so I think that is my favourite genre. I am glad I stopped by your blog-looks like you do lots of fun things here. I follow by email. 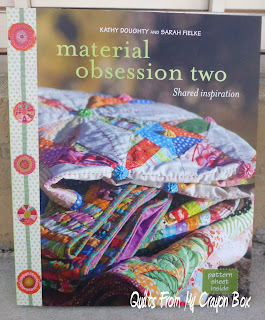 Material Obsession Two would a most appreciated addition to my few quilting books. Thanks for the chance. Happy Holidays. Congrats on the Blog-Aversary. I'm really torn about what is my favorite type of fabric. I am drawn to modern style fabrics, but still love florals, batiks, and tone on tones. 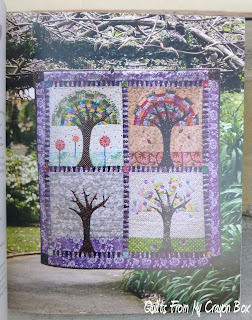 I particularly love anything from Fig Tree fabrics or Kate Spain. I follow with GFC and receive your updates with through BlogLovin. I'm a modern girl through and through. I'm following through GFC. Thanks for participating in the blog hop. I have a really weak spot for novelty fabric! I like all fabric! I have a special spot for all my geometric fabric. I like brights and florals and micro pattern fabrics. These work best for the dresses on Sunbonnet Sue, which is my favorite. I have been a follower for a while on Google. Please stop by and see us at Prairie Cottage Corner when you have a chance. Thanks for letting us visit. The Primary Bee looks great and I hope it will be a wonderful success. I love/hoard 1930's prints. I have yet to use them...but keep collecting them! I keep trying to find the perfect pattern. I also like civil war and modern....pretty all over the page! I have yet to meet a fabric I didn't like. I'm into but I am into modern fabrics at the moment. I use a lot of novelty prints when quilting for my kids, but I like anything that is bright and cheerful. I try to keep 30's fabrics in my stash, but I keep using them up! I love more modern fabric - although, will toss in some 1930's or more traditional styles. Although, what draws me to fabric more than anything is color. I love bold and bright!